This cover is made out of super-soft, anti-pill polar fleece which doesn’t fade or shrink. 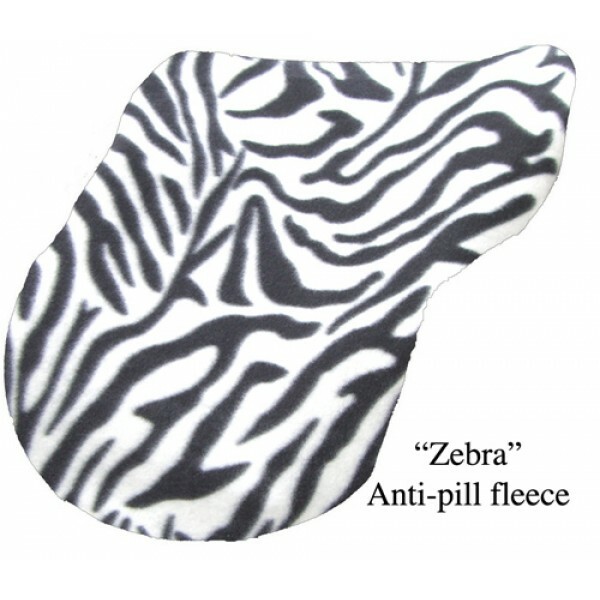 It features our pretty “ Black/White Zebra Fleece” fleece. The cover is overlocked all the way around and has a quality elastic cord inserted into a channel all around the cover. This cover is sized just right for PONY Close Contact and All-Purpose Saddles. It is our smaller size and will be too tight on regular saddles.